It’s been a long, long winter but the Dock Jumping Pool is now open for the 2018 Season! 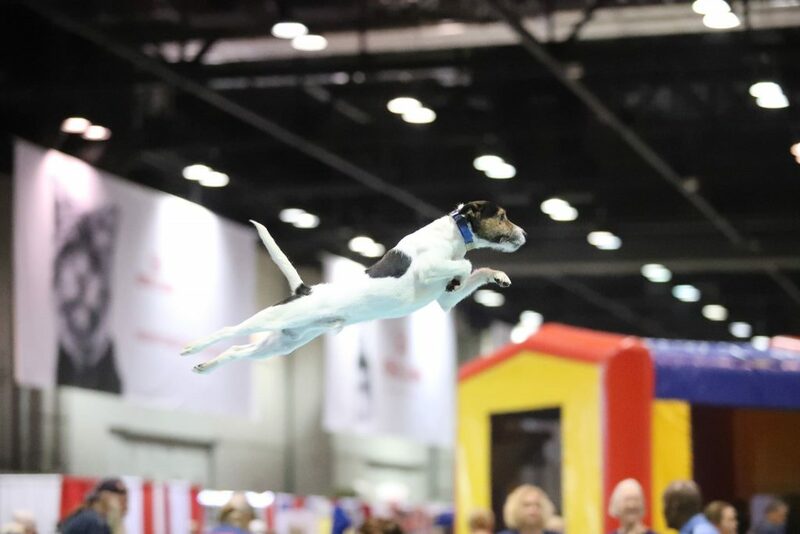 Whether your dog is looking for more swimming experience or your team is interested in improving your competition handling, join veteran competitor and trainer Liz Carter for fun in the sun with your dog! All breeds and mixed breeds are welcome. We are offering private Swimming and Dock Jumping coaching sessions and lessons during the 2018 season. Appointments are available most weekdays, except Tuesdays and select weekends. Appointments MUST be confirmed by Revolution Dog Sports prior to arriving at the pool. To schedule your appointment, please text / call Liz at 775-813-0867 or email training@revolutiondogsports.com! Lessons are $40 per half hour for one handler and up to two dogs. We are now booking for lessons starting Friday May 25, 2018! The following weekend dates are available for May and June. Additional dates will be published as they come available! Send your dog to the pool while you work! We know that you have a busy schedule but want your dog to have the best summer ever! 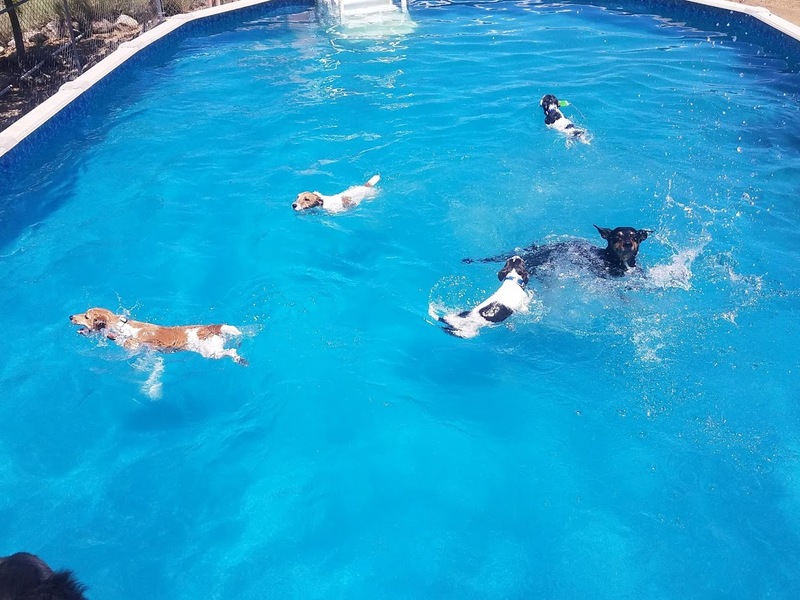 Whether you have a new dog just learning how to swim or an experienced competitor that needs more time on the dock, Dog Sport Day Camp with Liz is a great opportunity to get more time in the pool and on the dock. Swim Services are offered on Wednesdays, Thursdays and select Fridays. Our practice pool is 36′ long with a 24′ long carpeted dock. It is located off Red Rock Boulevard in Reno, NV off a rural dirt road. There are no restrooms available. Please plan accordingly. This pool is on a private property. It is a privilege to use this facility. Please be respectful of resident humans and animals, personal property and fixtures. Participants disturbing the residents may be asked to leave at any time. No refunds will be made. Dogs must be kept on leash or crated in cars except when working in the pool area. Dogs may not be thrown or pushed into the pull. Pinch collars, choke chains and electronic collars are not permitted on the grounds. Handlers must pick up after their dogs and pack out all trash and waste. Handlers are responsible for the behavior of guests. Exhibitors should not arrive more than 10 minutes prior their appointment or class. There is a $25 cancellation fee for lessons cancelled less than 4 hours prior to scheduled time.